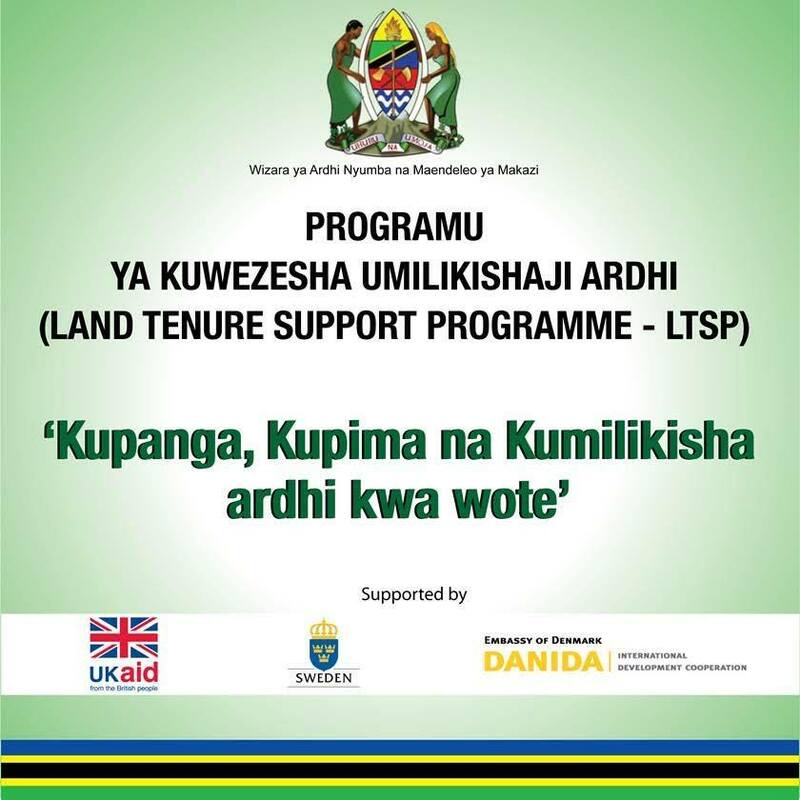 The Land Tenure Support Programme (LTSP) was established as part of the Tanzania-G8 Land Transparency Partnership, aimed at supporting a more transparent, efficient and better resourced land sector, in order to ensure that current and future demand for land leads to beneficial and equitable outcomes for Tanzania’s rural populations, while at the same time continuing to attract and support high quality investment. This is Programme is initially implemented in three-year aims to build a basis for resolving the issues that constrain the contribution that Tanzania’s land sector can make to achieving the country’s broader development goals by establishing a road map for long-term support to the land sector that will contribute to implementing the revised the Strategic Plan for Implementation of Land Laws (SPILL). At the same time, the programme will achieve concrete results during the three-year programme period to make significant contributions to improving the transparency and efficiency of land governance and administration. The Programme is funded by the Department for International Development (DFID-UK), Swedish International Development Cooperation Agency (SIDA) and Danish International Development Agency (DANIDA).